CHARCUTERIE (shär-ˌkü-tə-ˈrē) (noun) Definition 1. a delicatessen specializing in dressed meats and meat dishes; also : the products sold in such a shop. 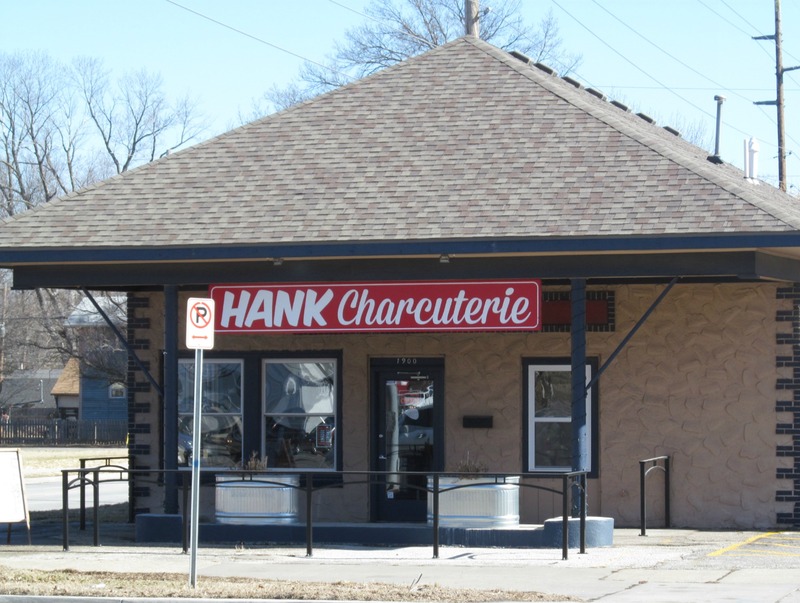 Basically, Hank Charcuterie, located at 1900 Massachusetts Street in Lawrence, Kan., is one part butcher shop and one part restaurant. It’s located in a fairly nondescript stucco building on the south side of downtown Lawrence. The outside of the building gives little indication about all the awesomeness located inside. You step into a clean modern facility with an open kitchen area. This means they have nothing to hide when it comes to cleanliness and food safety. 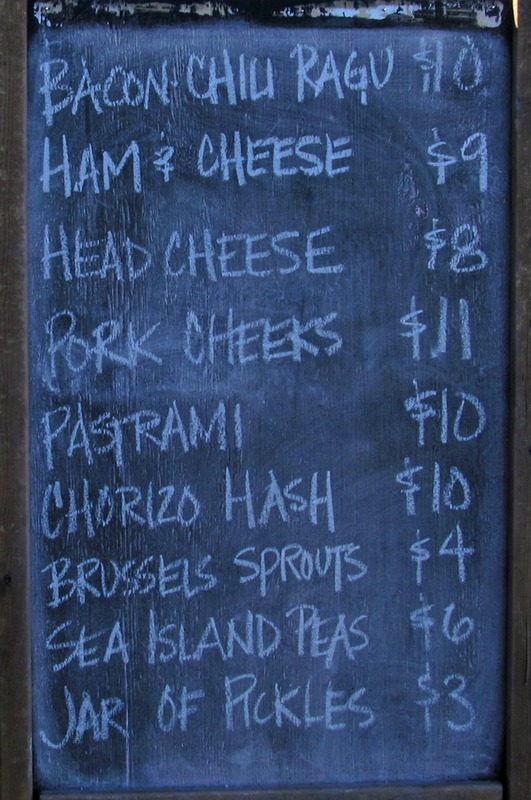 As you would expect, Hank Charcuterie has tons of pork. 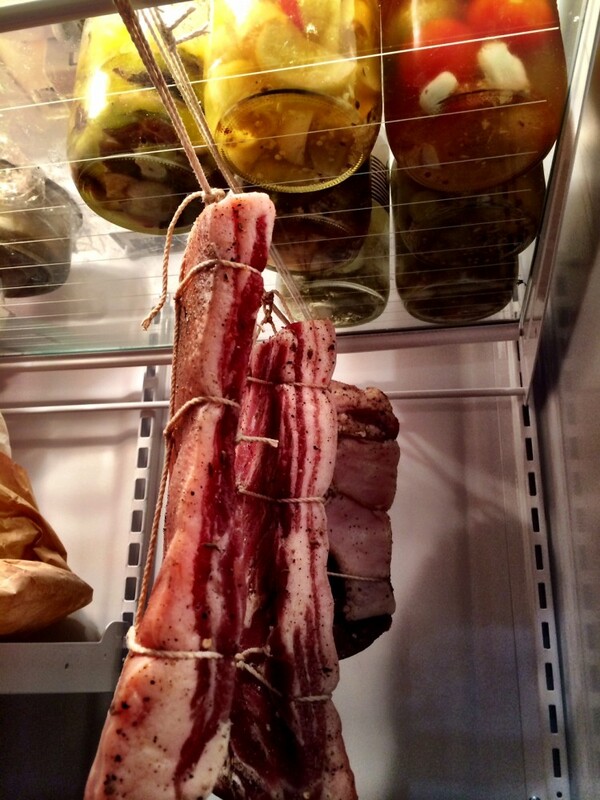 Just a handful of the options include ham hock rillettes, hickory smoked bacon, pork chops, brined chops, porterhouse and pork ribs. If you are so inclined, you can even participate in free butchering classes in order to learn how the whole pig gets turned into all these items. During a recent visit, I ordered breaded and fried sandwiches that had delicious brined and smoked pork. It was, without question, one of the tastiest sandwiches I have eaten in quite a while. My order came with a container of blue cheese dipping sauce that was also very good. In fact, I’d buy that stuff up in bottles if they sold it that way!